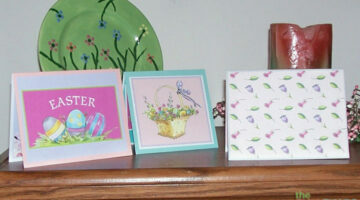 You could use washi tape or ribbons of fun sizes, shapes & colors with these Easter card ideas. 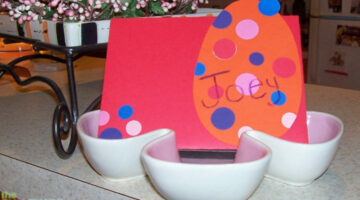 I’ll show you how to use colored burlap on Easter cards too! If you think you don’t have any ‘Easter’ stamps, remember that any spring-like flower stamps will work. 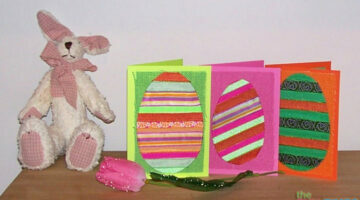 Here’s a simple hand-made Easter card to make. You might want to start on your handmade Easter cards early this year.